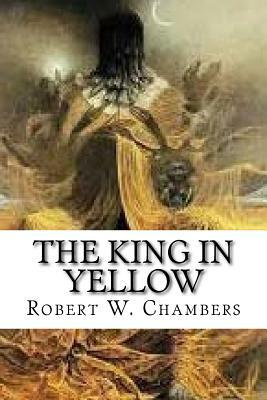 The King in Yellow by Robert W. Chambers With its strange, imaginative blend of horror, science fiction, romance and lyrical prose, Robert W. Chambers' The King in Yellow is a classic masterpiece of weird fiction. This series of vaguely connected stories is linked by the presence of a monstrous and suppressed book which brings fright, madness and spectral tragedy to all those who read it. An air of futility and doom pervade these pages like a sweet insidious poison. Dare you read it? This collection has been called the most important book in Amercian supernatural fiction between Poe and the moderns. H.P. Lovecraft, creator of the famed Cthulu Mythos, whose own fiction was greatly influenced by this book stated that The King in Yellow 'achieves notable heights of cosmic fear.' The stories inspired production of the HBO TV series True Detective. We are delighted to publish this classic book as part of our extensive Classic Library collection. Many of the books in our collection have been out of print for decades, and therefore have not been accessible to the general public. The aim of our publishing program is to facilitate rapid access to this vast reservoir of literature, and our view is that this is a significant literary work, which deserves to be brought back into print after many decades. The contents of the vast majority of titles in the Classic Library have been scanned from the original works. To ensure a high quality product, each title has been meticulously hand curated by our staff. Our philosophy has been guided by a desire to provide the reader with a book that is as close as possible to ownership of the original work. We hope that you will enjoy this wonderful classic work, and that for you it becomes an enriching experience.